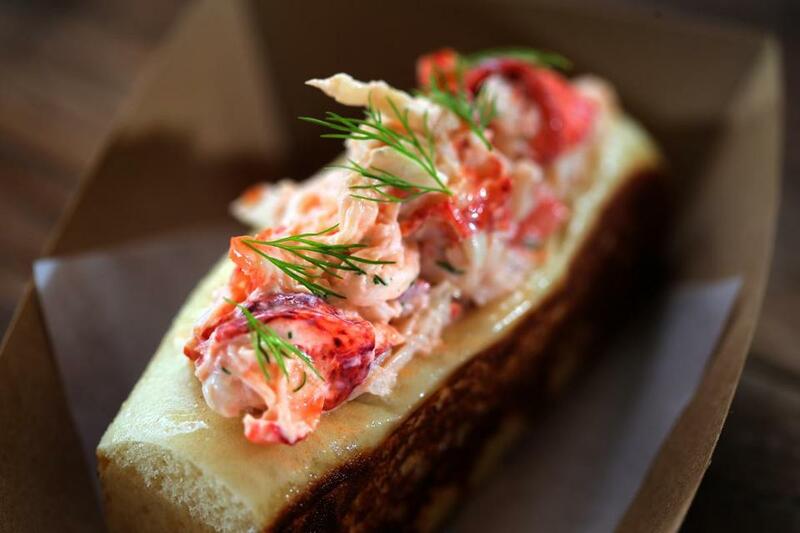 Eventide Fenway’s cold lobster roll. 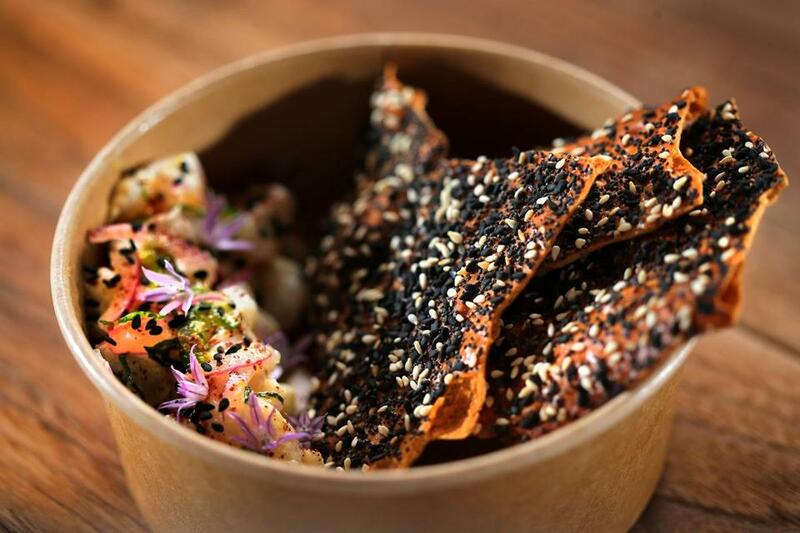 This is Eventide’s best-known dish because it is so delicious, but also because it exemplifies what chefs Mike Wiley and Andrew Taylor are doing at their seafood restaurants. The roll plays around just enough before settling in and taking its job seriously. It maintains its New England classicism while being open to the flavors of the world. This approach won Wiley and Taylor a James Beard award in 2017, a few months before Eventide opened in Boston. Oysters, however, remain central. From Maine, Massachusetts, and “away,” they are glorious, pristine — so pure the lobster roll almost feels like a gimmick beside them. Tip to your lips the deep cup of a Wild Muscongus snowcapped in horseradish ice and you can almost taste the wind and rock of midcoast Maine, even as a few blocks away fans chant “so good, so good” after paying $40 to park. Raw fish is also as good as ever: tuna served with judicious amounts of soy, scallions, and ginger; rich slices of salmon that practically melt in the mouth. Eventide has one of my favorite clam chowders, a thin, briny potion stocked with potatoes, enriched with salt pork. And darned if it doesn’t also make a great cheeseburger — basically an ur-Big Mac, with gochujang-tallow mayonnaise providing heat and fat. Eventide has always been about place. That’s true here too, and in some fun new ways. 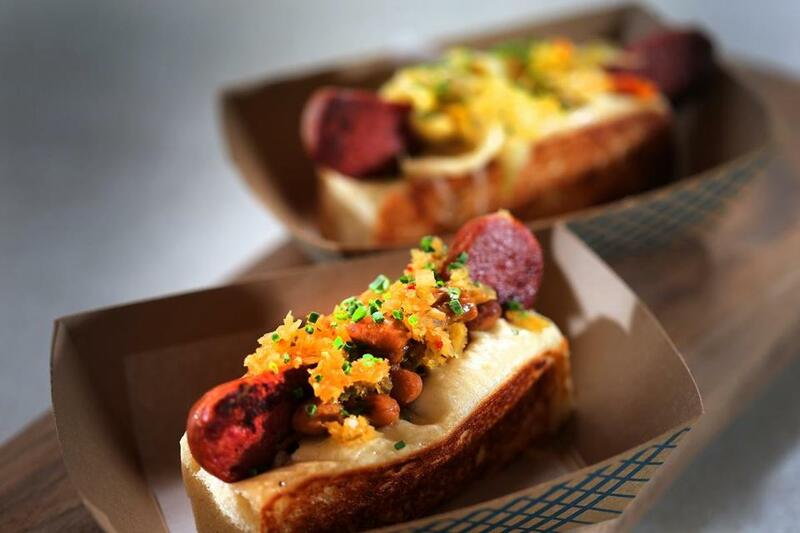 When the Sox play at home, the restaurant offers its own version of the Fenway frank: house-made knackwurst, served either with baked beans and kimchi relish or sauerkraut and maple mustard. Cracker Jack soft-serve with caramel corn and peanut “magic shell” is sweet-salty, ballpark-theme-y magic indeed. If you’re not coming here for oysters and beer before or after the game, you’re probably doing it wrong. But the passion really lies in the new material: the specials. The flavors of smoked hake pupusas waltz together with unexpected grace. (It’s sort of like cornbread and bacon, in its way.) These Salvadoran masa cakes are served with the traditional curtido, a pickle-y, fermented cabbage slaw that is right up Eventide’s alley. A Maine sea urchin tray offered one day is exactly that — a small tray of fresh, delicate uni and some white rice sprinkled with furikake. It’s boldly reductive, and it’s the right choice not to muck about adding anything else. What else does one need? Only perhaps this: a beautiful bowl, hand-thrown and glazed; an elegant pair of chopsticks. Much of this food is simply too good to eat from cardboard containers with recyclable utensils. It is the kind of food where presentation and atmosphere matter. The specials are Eventide’s soul. They give it away: This is a full-service restaurant trying to pass in a fast-casual world. Who wouldn’t want to open the next Shake Shack? High-profile chefs have been adding such restaurants to their portfolios for years. Jody Adams, of Porto and Trade, is also behind gyro shop Saloniki. Jose Andres, whose Minibar has two Michelin stars, runs the cheekily named, vegetable-focused Beefsteak. David Chang, whose Majordomo in LA was one of the year’s hottest restaurant debuts, slings chicken sandwiches at Fuku, coming soon to the Seaport. Heaven help us if everything heads in that direction, though. The quick-service model is Game Day practical. But restaurant-going can’t, shouldn’t, always feel practical. (People regularly drove from Boston to Portland to queue up at Eventide’s door: very not practical.) At its best, it is often downright romantic. Also playful, inventive, warm. You still get some of that here, but I miss sitting at the bar and bantering with the person making me a cocktail. 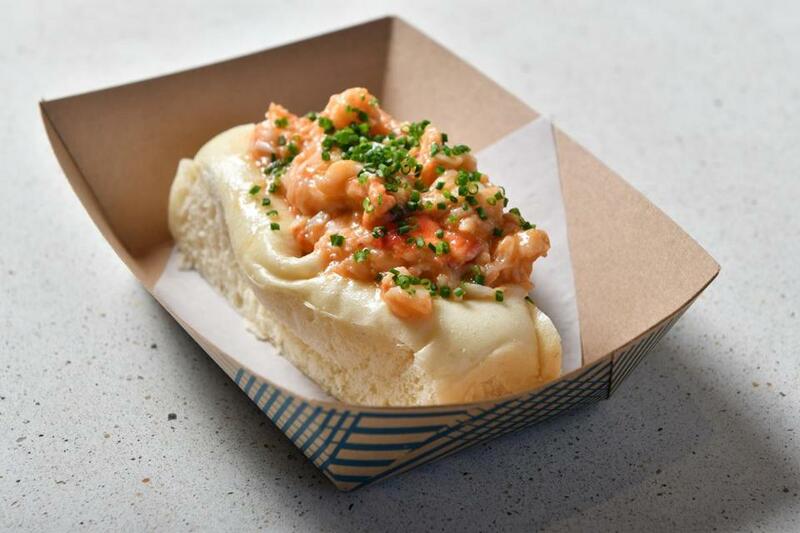 On the other hand, the brown butter lobster roll might be all the company I need. 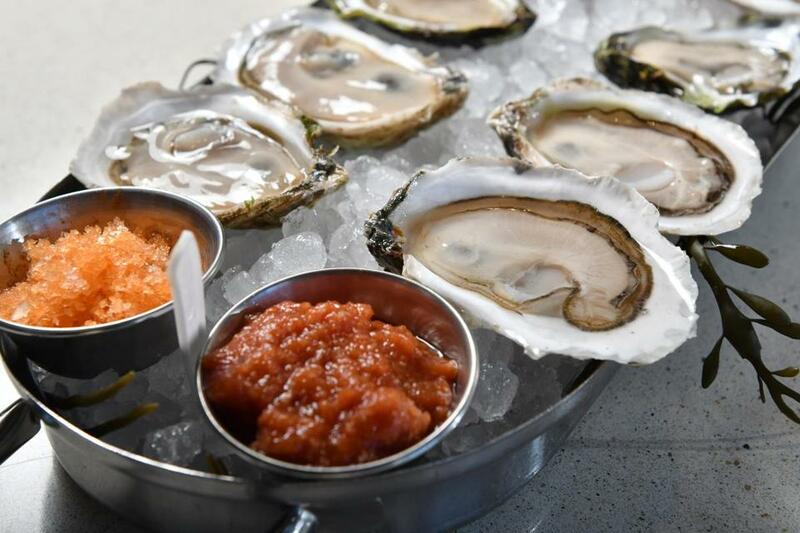 1321 Boylston St., Fenway, Boston, 617-545-1060, www.eventideoysterco.com. All major credit cards accepted. Wheelchair accessible. Prices Appetizers $7-$29. Entrees $9-$23. Desserts $4-$7. Hours Daily 11 a.m.-10 p.m. Noise level Quiet until there’s a crowd. May we suggest Oysters, clam chowder, tuna crudo, brown butter lobster roll, Cracker Jack soft-serve, whatever special sounds good.